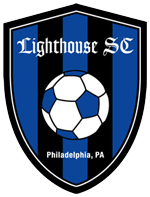 Thank you for your interest in coaching with Lighthouse Soccer Club. Please complete, sign, and submit the form below to send us your coach application. We'll be in touch shortly. Information sent through this form is protected with 256-bit SSL encryption. What Age Group Would You Llke To Coach? I agree under penalty of law that the above information is true and accurate to the best of my knowledge. Please use your mouse (or finger on a touchscreen device) to sign this form.